Located off Junction 4 on Commercial Road, Blackburn With Darwen can be found next to Lanashire Laminators and Shirley's Recycling. An ideal choice for learners living in and around Blackburn, this test centre receives plenty of visitors each month. If you're heading here, we'd recommend you get to know it a bit better. You can do so by reading on for directions, pass rates, test routes and much more about Blackburn. Blackburn with Darwen is located around 10 minutes from the centre of Blackburn itself. A stone's throw from the A666 and M65, the centre is an ideal option for learners throughout Blackburn. If you'd like to get to the centre without any fuss, just follow these directions and you’ll get there just fine. Looking for the test route for Blackburn with Darwen? The DVSA no longer publishes routes, so you won’t be able to find one. Never fear! If you're taking a driving course with a local ADI, they'll no doubt be familiar with the test routes used at Blackburn with Darwen. Due to this, your instructor will introduce you to the local roads that are most likely to crop up on your test. By the time your practical rolls on by, you'll be familiar with most of the routes around your tets centre. To get an idea of what to look out for, take a look at videos of Blackburn with Darwen test routes on YouTube. While the pass rates in recent years have been lower than the national average, you shouldn’t worry about it too much. Simply remember what you’ve been taught by your instructor, and if there’s anything you’re worrying about, ask your instructor to go over it with you. What If I Can’t Go To Blackburn with Darwen? Blackburn with Darwen is one of the many test centres available in Lancashire. If you want to head to a different centre, the closest alternatives are Preston and Chorley. Fortunately, for those eager to get results ASAP, your test results are given to you as soon as you get back to Blackburn with Darwen test centre. With the feedback sheet you'll be given, you'll also be able to see which areas you picked up driving test faults. 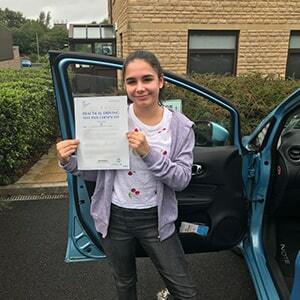 If you pass, you get a test pass certificate and you can send off for that shiny new licence you’ve been dying to get your hands on!. Giving up is not an option! If you fail your practical test, you can simply get booked in for another and use the feedback you were given to make sure you don’t make the same mistake twice! 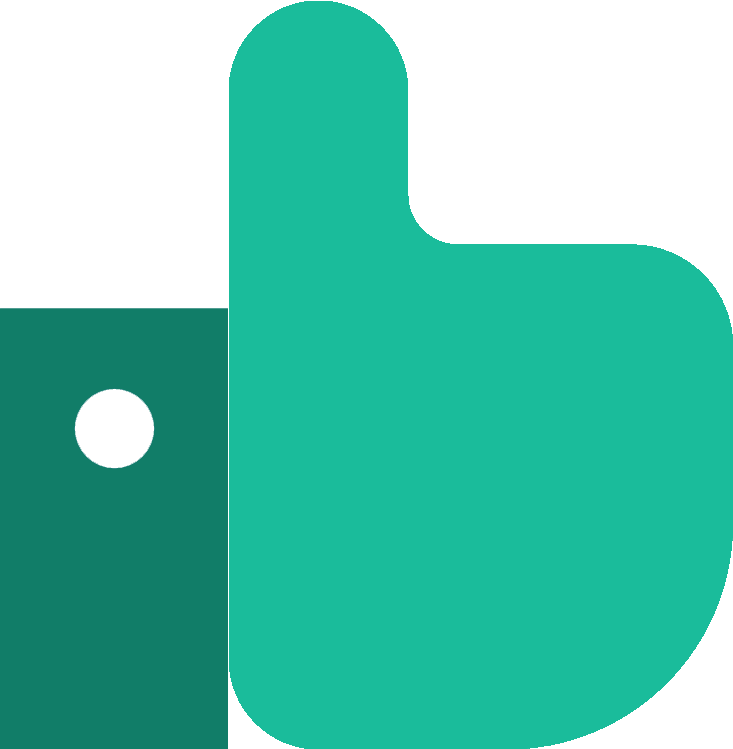 PassMeFast can get you booked in for a new test quickly by fast-tracking it. And if you're still feeling shaky, you can take one of our refresher courses to get that extra confidence boost before you go in for another test. If you’d like to get booked in now, simply contact us on our website or give us a ring on 0333 123 4949. 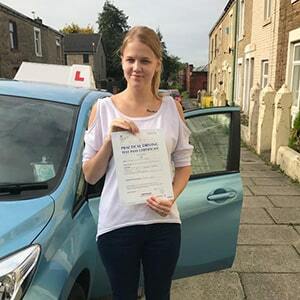 If you’ve not had any success with traditional hourly lessons, you might be better suited to an intensive driving course instead. PassMeFast covers a wide range of practical test centres and areas across the UK. Our intensive courses are tailored to suit learners with any level of experience, helping you build up the skills you need to pass your practical. Don’t want to wait around? Our fast-track practical tests ensure you get passed fast. Want to get started? Head on over to our course prices to see our range of courses on offer. Then, give us a ring on 0333 123 4949 to find out more or book a course yourself online. My booking agent was so nice and helpful—kept me up to date on what was happening, numerous emails wishing me luck with my theory and actual driving test! Passed first time with a lovely instructor, the company was really good at finding a test that was convenient for me.